For years, the only place I felt comfortable working out was in the comfort and safety of my home. Now that I’ve taken my workouts to the gym, I look back and wonder why I thought the gym was so intimidating. I’ve given this a lot of thought so I could pass on some encouragement to others who also struggle with Gym intimidation. So here are the reasons why I know I have every right to workout in the gym along with everyone else. Just as you do. 1. I pay the same membership fees as everyone else. Why is their money more worthy of gym space? The gym is just a place to go to sweat. It’s not a place for fit people to meet and admire the fitness that is apparent within their chiselled physique. lol! You pay, I pay, we all pay. It’s all the same moneys. Sweat freely my friends. 2. No one cares how sweaty you are. Seriously, no one cares. In fact, if I see a person drenched in sweat, red-faced, out-of-breath it makes me work harder and all I feel is mad respect for their perseverance. In fact, I make a point of encouraging them because who doesn’t like to be encouraged and respected? Yesterday, I watched an older gentleman crack out chin ups like gravity was no big thang, and as I walked by I said to him “Wow, Impressive!” ha! I seriously was so impressed I couldn’t keep the thought from escaping my mouth-hole. Then his wife did the same! Wowzers. 3. Plug into your iPod. Before I get to the gym, I go onto http://8tracks.com and find a playlist for my workout. It depends on my mood, and if I’m doing cardio, weight training, or both. I turn up my music and zone out. I occasionally break out into subtle awkward swaying dance. It’s as subtle as it is awkward. Most everyone else is in their own little music zone too. Even if they are looking around between sets, it’s because they are formulating their next exercise. 4. There’s no set demographic at the gym. If you regularly go to the gym and pay attention, you will see every shape, size, age, and ability. There are no classes there. No rank of importance. We are all the same, that’s what I love most about it. It’s my safe zone where I feel accepted no matter what level of fitness I’m at. Because really, go back to #2. No one cares about your workout, they only care about their own. 5. You will work harder at the gym. You will. At home, I’m distracted by my kids, my dog who is always under-foot (I swear one day he’ll be my demise on a set of stairs), phone calls, door bells, laundry piles. When I hold a plank, I see dust bunnies under couches and then my head starts to wander into to-do lists. There are so many distractions there, home is where my responsibilities live. At the gym, once I scan my card, that’s my time. Since I made the effort to pack up my gym bag, throw on some runners, drive or bike there…I have no excuse but to get to work and make the most of my time. 6. Sweat with style and variety…Where else can you go, that has a variety of high-end equipment at your finger tips? Sure, you can fill up your home-gym with a few pieces of equipment, but to stock it with variety would be expensive. For the price of a membership or a drop-in fee, you can try different types of cardio, strength training, classes, TRX, free-weights, machines…it’s all right there. Don’t know how to use the machines? Most gyms will give you a free information session and go through each machine. Better yet, hire a trainer. Seriously it was the best investment I ever made. We invest money into our clothing, nights-out, gifts for others, starbucks..but when it comes to our health suddenly the price is too high. Try a 5-10 session package and learn the basics of correct form. You’ll not only gain knowledge, but confidence. Invest in your health. 7. You may just meet some inspiriting people there. If you go to the gym and feel like a fish out of water, just do what I do. Smile. Hold your head high. Be friendly. Before you know it, you have yourself a little gym gang that just happen to go the same time as you. It’s a community of support and respect that I’ve never encountered before. We don’t bother one another during our workout, but we nod or say hi. Wave. The odd chit-chat. An acknowledgement of respect and camaraderie. For an introvert like me, it’s muchly appreciated. So what are you waiting for? 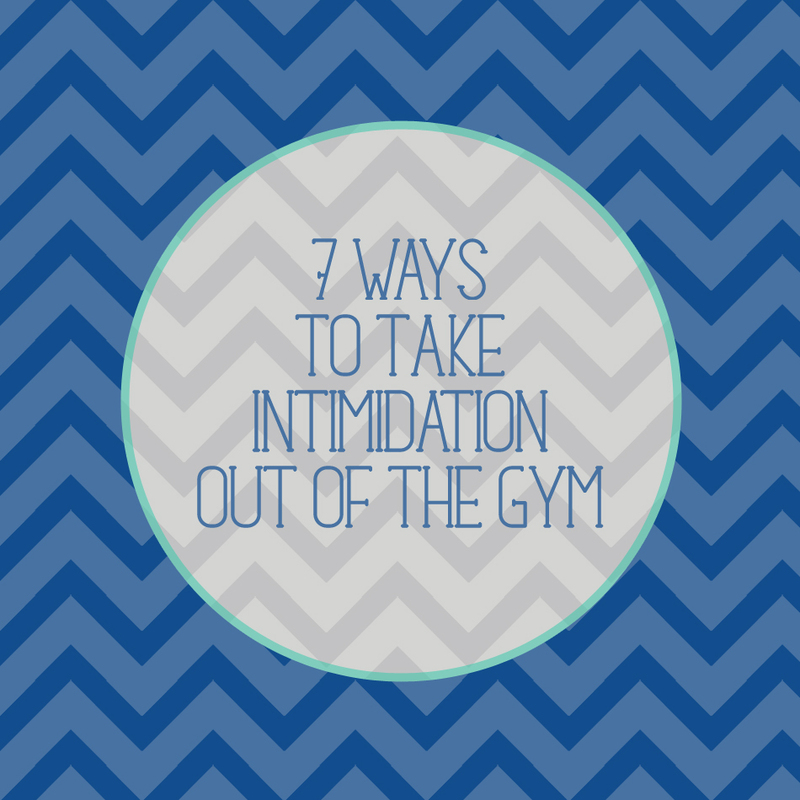 Please don’t feel intimidated by the gym, if you want to go. Just go. You have every right to be there just as I do. And if you see me there, say hi! Wave. Awkwardly sway subtly as music fills your ear holes. Sweat freely lol! I’ll leave you a whole lot of motivation thanks to the ever inspiring and wise Eric Thomas. I used to weigh myself daily, sometimes several times a day sadly. I believed I needed something, a quantitative measure of the work I was putting in. I noticed something though, my moods arose and fell within that number. If it was what I wanted to see, my food choices changed (for the worse actually) and if the number was too high, I restricted too much. I placed self-value on 3 digits. Three insignificant numbers that had nothing to do with who I am as a person. In 2013, I decided to only weigh myself once a month. At the first of every month, I stepped on my nemesis and logged the number. That one day would hold with it either a sense of pride or a feeling of failure. But I learned to move on quickly. The days in between contained the lifestyle I have come to love. Last month as I was logging my weight, I noticed something. For the past two years my weight has gone up and down within the same 10 pounds range in the exact same months. Huh. So I started thinking about it, why is my weight the same during specific times of the year? It’s because of the natural ebbs and flows of my life. January’s weight gain is full of family love and Christmas cheer. Of buns rising on the table in the dappled light. Of gifts of baking from neighbours, friends and family. Of turkey, and stuffing, and cheersing to the year ahead. Of hibernation within the dark days. March to April’s weight loss is full of runs in the sun and extra time to focus on the love of fitness. Of biking through puddles and jumping over patches of ice. 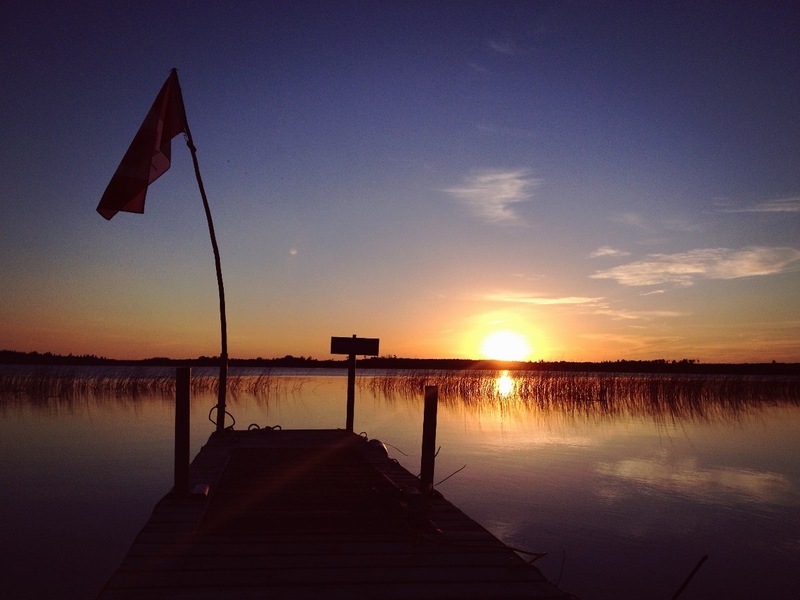 July to August’s weight gain is overflowing with campfire smores, BBQ’s and lazy boating days with full coolers and even fuller hearts as family set aside time to be together. Of walking paths of green a little slower to smell the flowers. Of passing twizzlers down the row of sunbathing sisters as we watch our kids play together on the beach. Now that I’ve transitioned from diet mentality to Lifestyle, from losing to maintaining…I can relax a little and enjoy this journey without a critical mind. This. Is. Life. My crazy, active, foodie, busy life. This May marks 10 years at my goal weight. Just as there are ebbs and flows within relationships this too is the same. It is pointless to feel guilt followed by pride followed by guilt when there is so much life to be lived without worrying about what a scale says. I don’t need a measure in all reality. I need balance. I need authentic personal connection. As much as I absolutely love fitness (which I sure do), I also love sharing a lovingly prepared meal with those I love. No guilt attached, I know that I will run it off at some point because I’m committed to this lifestyle…so chill. For every sunset there’s a sunrise, for every argument with someone you love there’s forgiveness and moving forward, for every season of indulgence and rest there’s a season of work and tenacity. I’m thankful for life’s Ebbs and Flows for it brings balance. I anxiously walked towards the sound of my family’s conversation filtering from my sister Janny’s hospital room. Each step I took revealed another family member from around the corner, all surrounding Janny’s bed. In our family, we never set a time to meet. We just instinctually know and manage to congregate at the same time…one large circle of supportive chaotic love. If one sister is missing, she is there in spirit through texts or phone calls of concern and solidarity. Janny’s eyes met mine, and our smiles reached right to our eyes. She opened her arms wide for a hug and I drank in her affection with a strong hug hoping to transfer all my support and love within it. 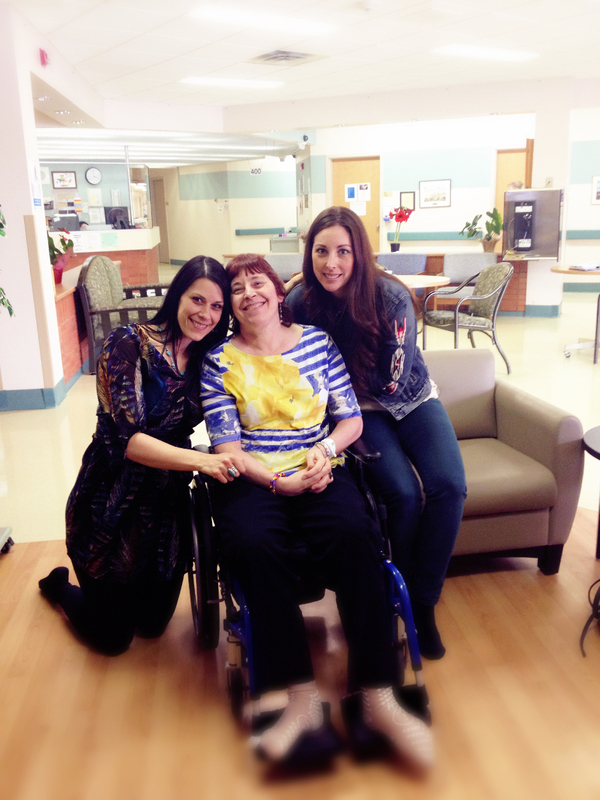 She was admitted to the U of A Hospital after suffering another bad MS attack. 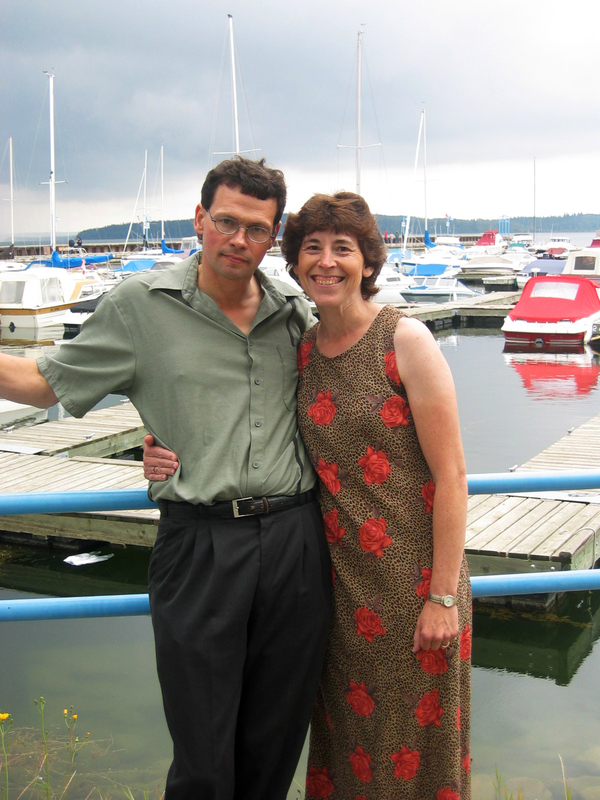 Even though she’s been living with MS for 20 years, we as a family haven’t quite become accustomed to the devastating effects MS takes on our Janny each time an attack of this magnitude hits. Yet we have. It’s all so difficult to articulate and sort through in thought. This is why I seek clarity and solace within writing. MS has proven to be a slow and methodical disease as it chips away at my sister’s ability to live the way she wants to, the way she deserves to. The devastation comes and goes in waves, each time taking a little more of her capabilities, awareness, and spirit before settling into a steadfast state. And then out of nowhere, one big attack knocking her down and leaving her vulnerable, confused, disoriented, limited. MS is a disease that is a different beast for each person it afflicts. It is unpredictable and relentless. As I watched my sister staring at the clock while we visited, I was taken back to a memory from years ago when I hosted thanksgiving (or perhaps it was Easter) which was the last time I recall her having a bad attack. I ran around my kitchen as I hurriedly prepared for company at our new-to-us acreage. I was excited when I looked out my window to see them pull into the yard. My excitement washed away into a sad revelation as I watched her needing the aid of a walker for the first time. Tears streamed down my face as I watched my brother-in-law take the walker out of the back of the vehicle and get it ready for her. She wore an intense, determined expression as she walked to my house. The tears flowed not because I felt sorry for her but rather because I admired her tenacity and strong will. She amazed me and humbled me. I was proud of the Grace she displayed as she coped with all the horrible changes happening as her body betrayed her heart. The other night as we huddled around her bed making small talk, and her devoted hubby gently swept a stray hair away from her eyes…I remembered her. I remembered who she was and who she is, because both are important. How often have I walked by a soul whose body has forsaken them without being aware that they are an evolved soul through their disease? At one time, they must have expected good health like a sunrise…just as I do. Who were they before and who are they now? Both beautiful souls deserve respect, understanding and compassion. How often have I so selfishly picked apart the areas of my body that I want to change without feeling deep appreciation that these legs of mine work? Forget the egocentric vanity of the aesthetics and embrace the beautifully complicated functionality of the healthy human body with sincere gratitude. I can run, jump, walk wherever and when I choose. It’s all so hard to articulate now within my longing for my sister to have her health. My track-star sister. I mourn for the vitality she has lost to this disease. There’s a part of me that is also thankful that the deep seeded anger she so justifiably felt years ago gave way to a loss of awareness within her mind as MS attacked vital parts of the brain which comprehends those types of things. I feel guilty even typing that. I want you to understand how much of a blessing it was and is to finally see her smile and laugh again even though she had every reason to wake up daily with anger ranging within her soul. So these past few weeks as she’s recovering I have spent time remembering her then and admiring her now. I love her like I love my own children. I remembered my sister’s zest for life…the way she used to pace the kitchen while she talked because she couldn’t sit still for a second. She would walk or run places rather than drive. The way she used to look you straight in the eye when she talked or listened as you talked, 100% genuinely present with the desire to know you better. The handwritten notes she mailed me (and many others) full of hopes she dreamed for me, for her family, for others. She prayed for me at a time I had no direction and was struggling. 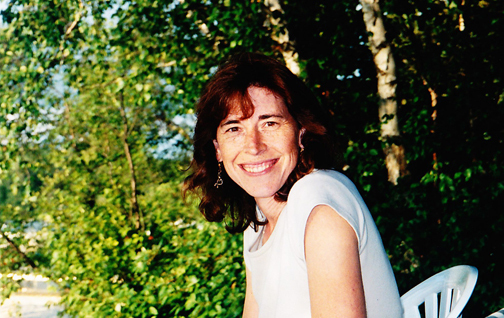 This is Janny’s heart encapsulated within a letter, written in 1992 before her diagnosis. 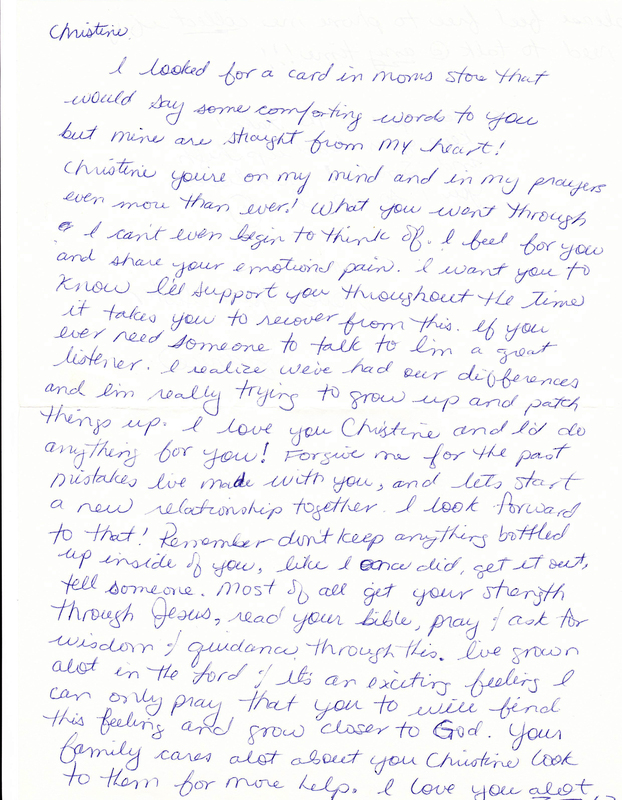 She poured her heart into this letter, asked forgiveness when she didn’t need to. I was an immature teenager, and she always challenged me within my bad behaviour to be the best I could be. That’s what you do when you love someone, you advise with love in order for the other to grow and evolve. There are no words adequate enough to express my gratitude for the impact she had and continues to have on my life. She prayed for strangers. She organized meals for those in need. She loved so intensely. The way she held her boys hands as they walked and ran after them as they played. She was very active in their lives, volunteering at their schools any chance she got. She was and is proud of them. She was and is a devoted wife. Side by side they have shared all of life’s adversity. I have a memory from when I was a little girl of the two of them giggling together during one of their visits. Janny buried her head into his shoulder and whispered something and the two of them just broke out into laughter that was so light-hearted and free yet intimate…I felt odd invading their moment. I have no idea why this memory is so vivid, I couldn’t have been more than 8-10 years old at the time. The way she worshipped in church, arms outstretched, eyes closed singing with all her might. She worshipped God with all of her heart. She served those in need as well, organizing meals for the sick. 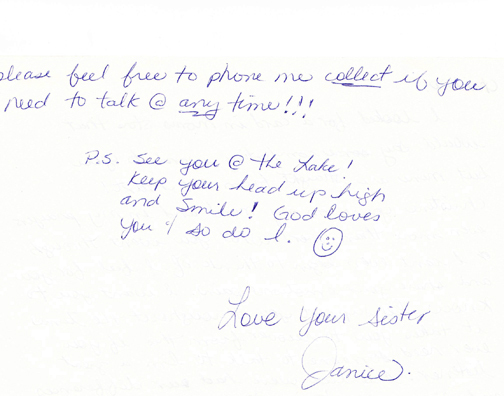 She took the time to reach out in a personal way to those she came in contact with. I remembered her stubborn streak, the one that made her family have to hide the car keys when she was first told she couldn’t drive. She was fiercely independent and losing her license was very hard for her to cope with. I recall many times looking out my kitchen window and watching her drive up at mock-chicken, and defiantly getting out of her van walking through a cloud of dust. I would open the door with a disapproving look and she would tell me to shush up and make her a coffee. She loved people. She still loves people. She loves being in the middle of the most animated of conversations. She’ll put her two bits in here and there and look down her nose over the top of her glasses when she doesn’t approve. She loves talking hockey and is a huge Oiler’s fan no matter if they make the playoffs or not. 😉 She puts all of her being into each gregarious laugh, and she laughs often (usually followed by a tap of the back of her hand to your shoulder). Her face lights up when she greets each family member. Whenever I visit, she always yells across the room “Chris! Come over here and give me a hug!” and she sure does pour her heart into those hugs. She takes the time to talk to each of my kids and asks how they are doing. She is all about family, always has been and always will be. This is the face of MS the way I’ve experienced it within our family love story. The complexity of the mourning for all that is lost and the gratitude for all that still remains. The ever-changing and evolving face as MS continues to invade. You would be hard pressed to find a family that doesn’t understand the face of a different type of disease, but this one is ours to watch, feel, experience with sadness and I pray there’s a cure someday soon. For my sister and for anyone who’s been touched by MS. Hope is what we crave. I encourage you to reach out to those you love and express your gratitude for their impact within your life. In the words of my sister “Remember, don’t keep anything bottled up inside of you”. I wish for you health, happiness, and a humble heart as you grow in life. And most importantly, I wish for you awareness of your blessings and a united family standing tall and proud within LOVE as you tackle adversity.